On 27-28 November, the final conference of the SEMPRE project “Make empowerment happen! Changing mindsets for better social services” will take place in Riga. For three years, the partners of the SEMPRE project have been working with different empowerment approaches in rural areas. 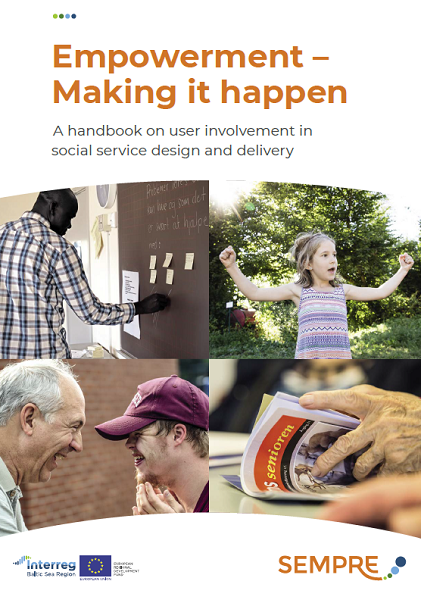 The overall aim of the project is to identify ways in which social service providers can empower the users of their services – who often belong to marginalised groups – to take part in service innovation processes. Empowerment addresses three dimensions: the individual, organisational and societal one. All three dimensions are covered by the SEMPRE project and reflected in the project results which will be presented at the final conference. Nordregio’s Research Fellow Anna Berlina and Cartographer/GIS Analyst Gustaf Norlén will present a new “Empowerment Handbook” and a set of preliminary policy recommendations at the conference. Nordregio’s role in the project has been to develop an “Empowerment Handbook” based on the collection of good practice examples from project partners and assist the partnership in the compilation and dissemination of recommendations targeted at social service providers and policymakers. This “Empowerment Handbook” is already available on the SEMPRE project’s website and will hopefully be used widely.